If you run a tenant credit report, and get back a report showing “no credit score available”, or “no credit history found”, you may have trouble on your hands. 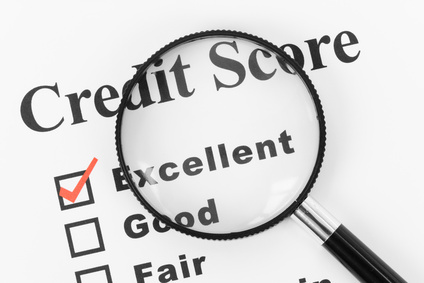 If there is “no credit score” (and you ordered a scored credit report), that means that the applicant did not have any credit history to report over the past six months. There were no accounts or trade balances that remained active during that time, so no information is available to score. In this instance it is likely that the applicant has old accounts that have not been paid or have been closed by a creditor. If there was a score in this instance, it would be less than 600 or a rating less than C+, so this applicant’s credit worthiness has not been established. You will have to perform more due diligence with the applicant. Start by asking them for an explanation. It is possible this applicant can’t establish a credit history because of a poor or sporadic employment history. A landlord will need to look to alternative documentation to establish income, like a employer’s pay stub, employer reference, or copy of a bank statement. If the person doesn’t have a bank account either, that’s more cause for concern. The landlord may have entered the wrong personal information when ordering the credit report. Verify the name, date of birth, SIN or SSN if available, previous address. If the information matches what the applicant gave you, the applicant may have provided you with false information to ensure that you do not find his or her credit history. Many high risk tenants intentionally misspell their name, provide a wrong date of birth or leave out the last one or two addresses that they have been at because they know that the previous landlord reference will not be a good one. Landlords can discourage fraudulent applicants by insisting on seeing a photo ID, having them complete every entry in a rental application, and informing every applicant that this landlord will conduct a thorough tenant background check, including a credit report. The prospective tenant may not have established credit in this country. Landlords are subject to any rules prohibiting discrimination on the basis of national origin, ethnicity, or citizenship, which may require accepting other documentation as a way to verify income and credit worthiness. The applicant may be receiving government assistance and does not have a credit file because it is difficult to obtain credit. A landlord may not be able to reject an applicant because his or her source of income includes public assistance. This applicant may have been incarcerated for a long period of time. The landlord facing this situation should ask the applicant for an explanation to determine if this person has unpaid accounts or unsatisfactory pay habits. There may be a valid explanation. But the landlord will need to find other methods for evaluating this candidate before taking a risk.